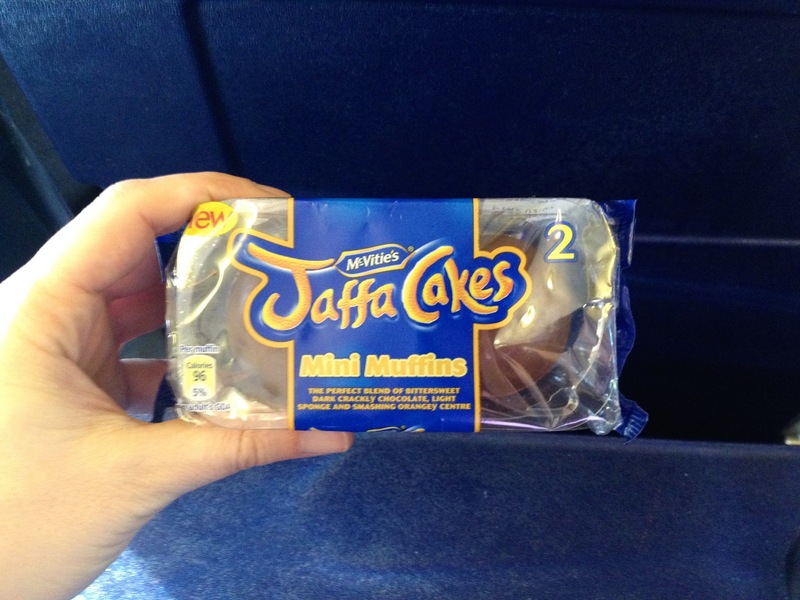 After writing An American in London, Part 1, I realized I left out a few important things! Well, important to me anyway. And they're kind of interesting, I think. #1. 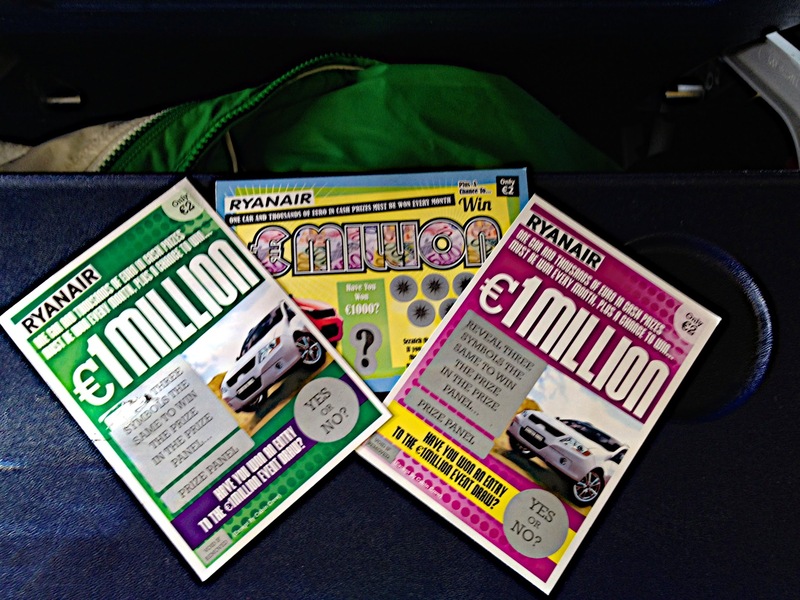 Did you know that RyanAir sells you lotto tickets in flight? Me and the ladies purchased some, but no one was a winner. #3. London has an average of 20 + days of rain in January, and 83% cloud cover. When my pal Bobbi boarded the plane, we all tortured her for wearing sunglasses, of course. Who needs those in January, in London?? #4. Turns out, Bobbi's sunglasses are magical. 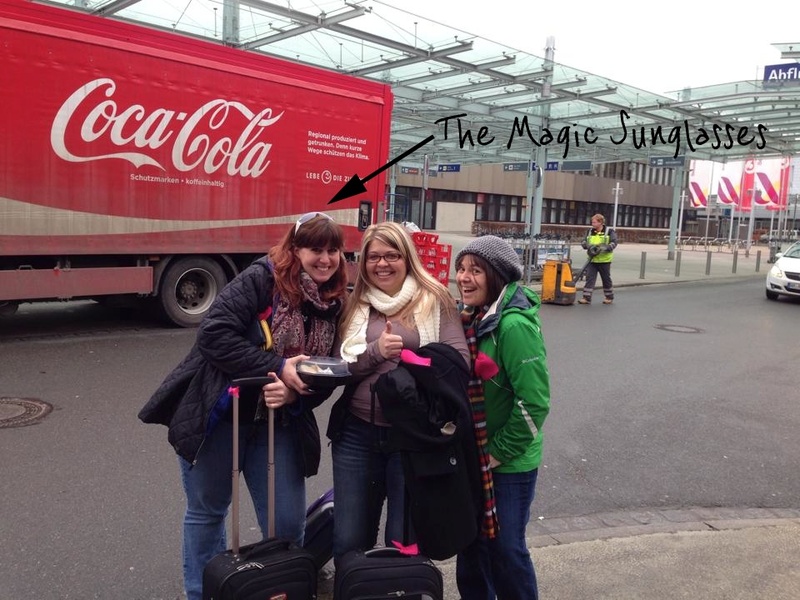 We enjoyed beautiful, sunny weather for our entire trip. Much groveling ensued. #5. London has great street names that I can't resist. 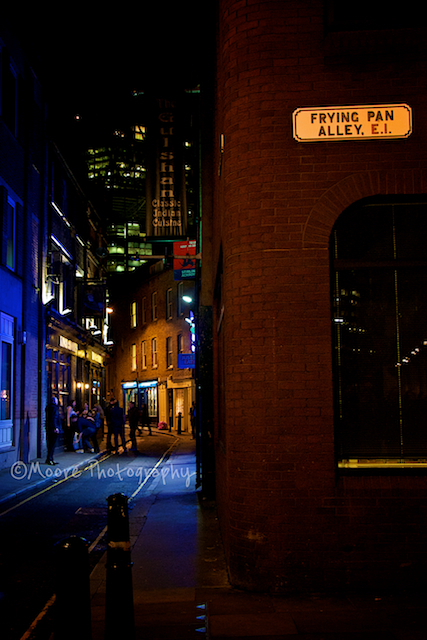 For example, Frying Pan Alley? Gotta love it! That's all for now, folks. I'll be back soon with London, Part 2. Hopefully I don't forget anything this time!